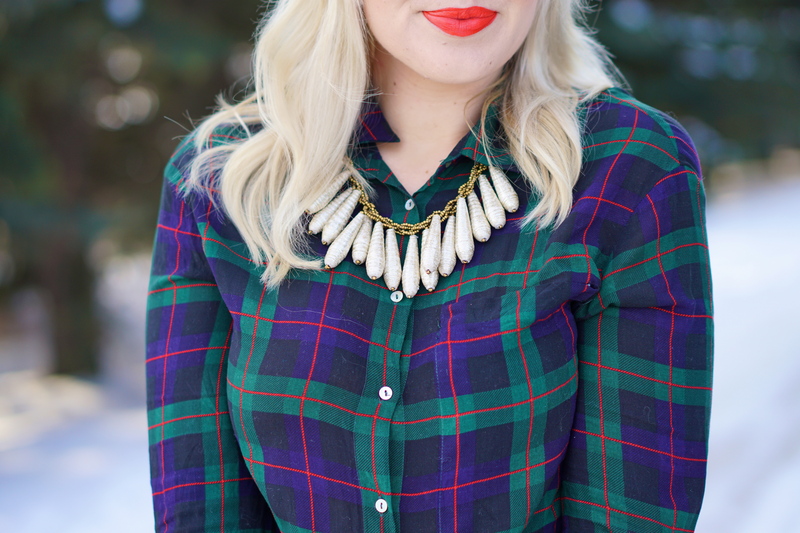 Holiday Style - Lovely Blonde Closet "
With the holidays in full swing, I am sharing some holiday-inspired looks that are easy to recreate. This is the time of year when dressing up is something you can be doing all the time without being worried that you’re too overdressed. 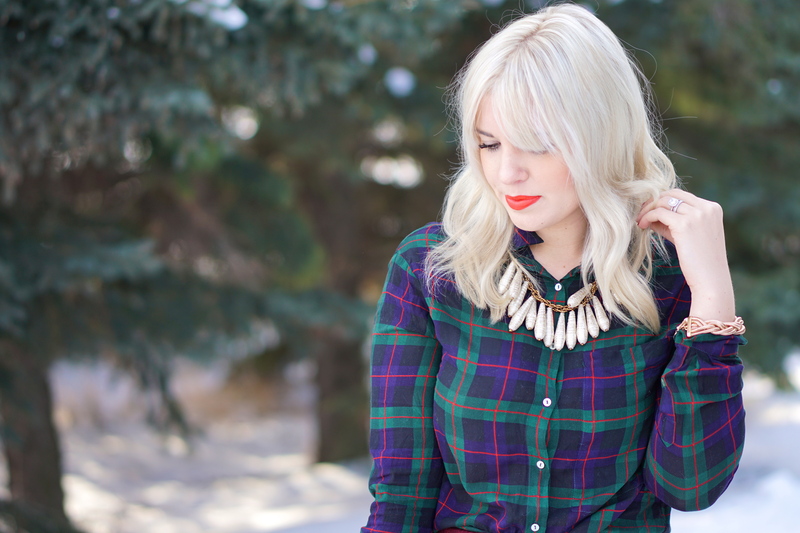 I am in love with playing with patterns and textures for the holidays so don’t be afraid! One thing that also adds to any outfit is a bold piece of jewelry! This necklace from 31 Bits, is more than just a beautiful necklace, there is so much meaning behind it! 31 Bits is about empowering people through the fashion industry, where Ugandan woman handcraft these gorgeous pieces, and are able to provide for their families through this income. Isn’t that a beautiful thing? Fashion with a purpose. I included another one of their gorgeous pieces below in my gift guide for Her, be sure to check it out, as well as their site to see all the beautiful handmade pieces! It is the perfect gift for Christmas, one that gives back to the hands who make each product! Hi – looks great! What colour’s on your nails? Hi Amaris! Just wondering where you shot this at?! Hi hun, it is at back road near our home in the North West!